Heritage of Hudson celebrated National Nursing Home week with a visit from Akron Zoo! 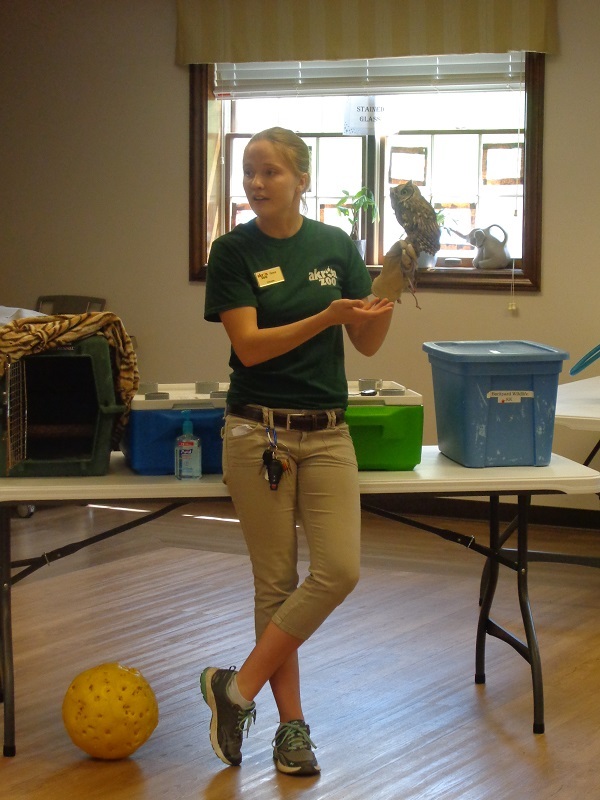 Residents and families were treated to an educational session presented by Akron ZooMobile. These sessions bring age-specific programs to schools, community events, or senior living faiclities, with animals from the Education Animal Ambassador program. Akron ZooMobile developed a special program called “Backyard Wildlife,” which features animals from Ohio and is presented in a way that engages the audience and entertains the senses. The three animals featured in this presentation were a snake, turtle, and owl. All residents and families in attendance were even able to touch and pet the animals! Residents were given the opportunity to ask questions and the Akron Zoo provided very informative answers. The program was a huge success and the activity room was full! Residents expressed their enjoyment of the program and have already asked when the Zoo is coming back. Heritage of Hudson prides itself on providing a loving, caring, and nurturing environment for its residents. It is programs like these that enforce that mission. Heritage of Hudson would like to thank the Akron Zoo for their presentation, and thank all residents and families that made it so special. To learn more about Akron ZooMobile, please click the link below.